St. Mary’s Church stands on a slight hill at the end of the village street. The present entrance gate was added by the erection of the brick pillars and ornamental arch in commemoration of the coronation of King Edward VII. 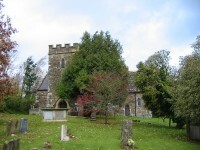 The path leading up to the church, replaced in 1894, was one that led steeply from just round the corner of the lane, skirting the Yew tree and winding to reach the church door. The larger yew is thought to be one planted in 1820 (price 2 shillings). In that year a piece of land at the rear of the cottages opposite was ex-changed for a strip laying between the road and the then lower limit of the churchyard, (previously used as the gardens of the cottages). The church walls are squared and coursed rubble, with ashlar dressings, and the roof has stone slates. 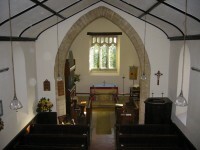 In 1840 the rebuilding of the nave utilised the original foundations and, as a result, the chancel is not quite in line with the nave, being slightly to the south, this deviation is not uncommon in mediaeval churches. In the East wall is an 18th century window and in the North wall of the chancel are two widely splayed 13th century lancets. At the East end of the chancel’s South wall is a 13th century window of one light, wider than those on the North wall and with a 16th century trefoil head. At the West end of the chancel’s South wall is a 14th century window of two cinquefoil headed lights with a plain spandrel light in a two centred head. The remaining windows date from 1840. 63rd year of his age. For as I am so you must be. December the 29th 1748 aged 69 years. Church records and registers date from 1654. The Burial Register 1678. 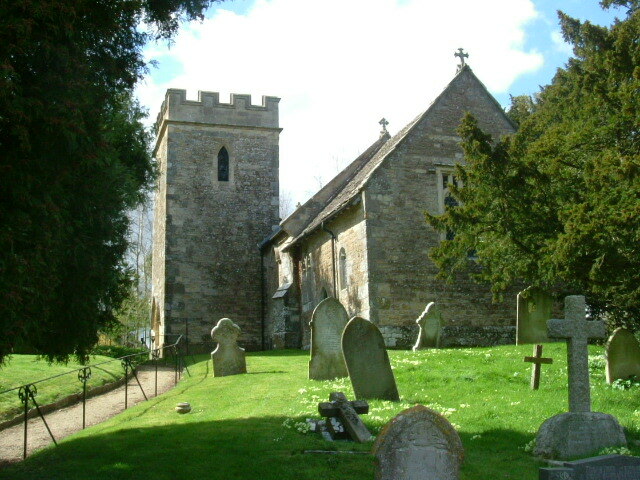 In 1326 the Suffragen to Bishop Roger Mortival (Robert Petyt) dedicated or reconsecrated the church. 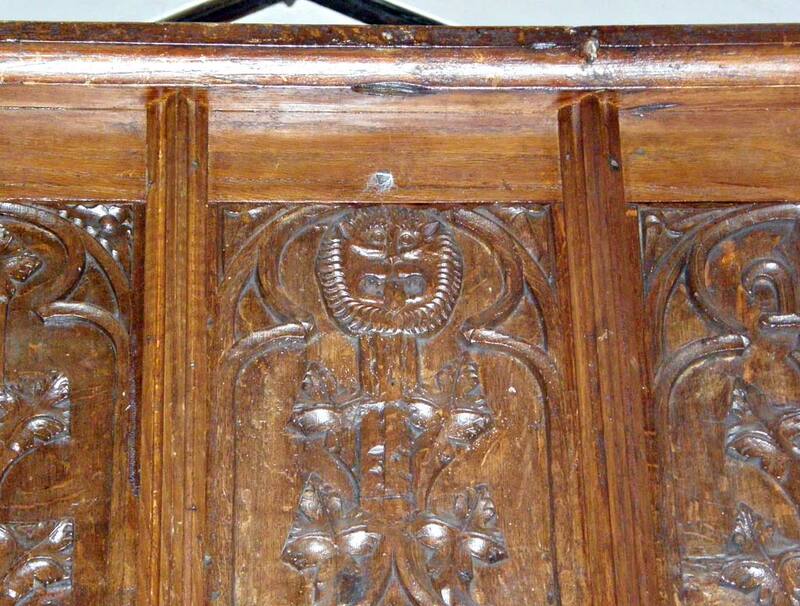 In 1550 the stone altar was replaced with a holy table of wood. The gallery in 1819 was used for the formation of an orchestra, this played weekly for 40 years (1859) and then the organ was installed. This was replaced in 1875 by the present one. 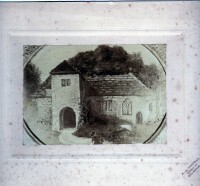 In 1840 a partition was built below the gallery – the contract for the rebuilding of the gallery stated that the gallery and partition be finished like the partition of the vestry room at Gillingham Church. The parapet of the gallery, the front of a cupboard, and a door, all at the West end, are Perpendicular and ex situ, probably from the screen. 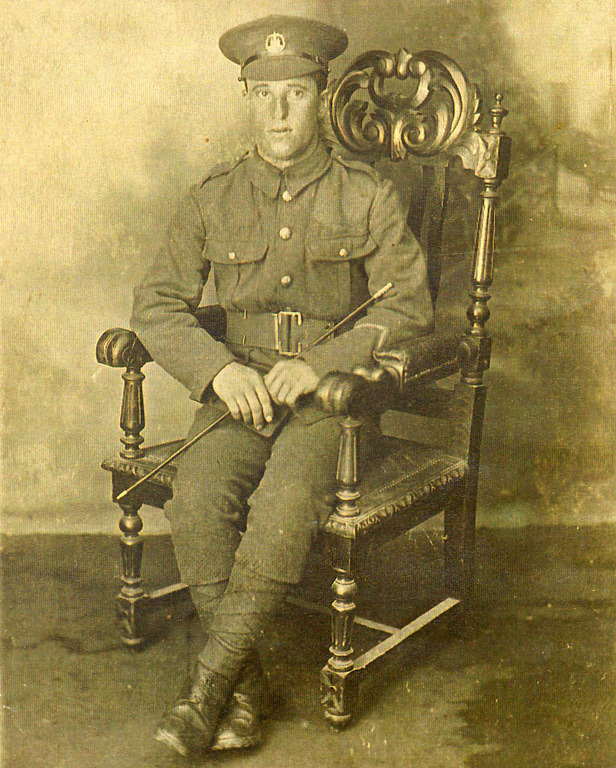 William George Beale of the Devonshire Regiment, 16th Batallion died aged 19 on 25th December 1917 and is buried in the Port Said War Memorial Cemetery. 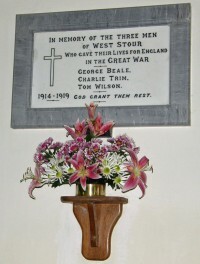 Charlie Trim was killed in Gallipoli and buried at sea when the peninsula was evacuated. 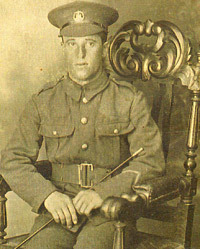 He served in the 5th Batallion of the Dorsetshire Regiment and died on 17th November 1915 aged 22. Details of Tom Wilson have not been found, although a Mrs Wilson lived at Sunnybank, West Stour in the 1920’s. A Tower was added in the 15th century – it was basically identical with the present structure (1840) except its roof was four sided and pointed, not flat and crenellated as now. It was used by the priest to recite portions of some offices, including the baptismal and marriage services. Simple business affairs could also be transacted. [ID has been identified as one of John Dawton, a bell-founder at Salisbury from 1611 to 1637]. [Possibly this bell was the gift of or in memory of a churchwarden. Wm. Cockey’s bell-foundry was at Frome and his name appears on a number of bells in this neighbourhood]. (The script is Roman, and the inscription is known to be also on bells at Folke, Tarrant Hinton and Compton Pauncefoot in Somerset. Translated as: These three are my hope Christ Mary John. The bell is of pre-Reformation origin). 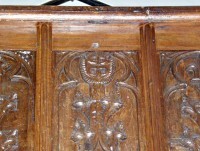 The Tower also contains a moulded beam bearing two carved shields. In the cemetery, the grave before the South door is to William Watson. Born 1665 West Stour – he studied divinity, law and medicine. He became a B.A. December 1687, M.A. 1690 and M.D. July 1669. 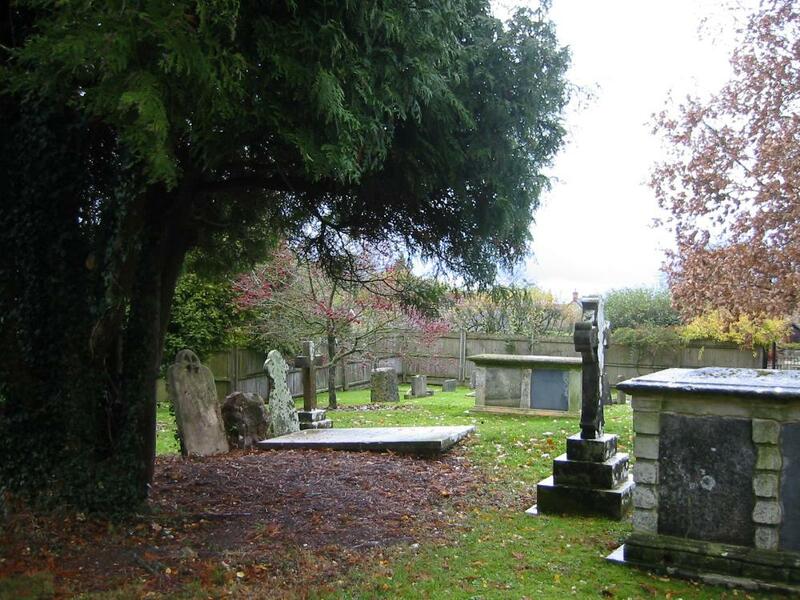 Also in the cemetery south of the church can be found an Oak tree – this was planted on February 15th1990 (by a Councillor) for the Centenary of the Dorset District Council. For the Millennium 2000 celebrations, a new gate and arch was designed and made by a local man, linking the new car park to the church. A tree was also planted to mark this occasion. In 1863 during repairs at the church] an unusual discovery was made. Found walled-up were a flagon and a paten-on-foot, both of pewter, both 18th century. In 1881 they were presented to Salisbury Museum. 1795 Prayer for the preservation of the King’s Majesty. 1797 Prayer and Thanksgiving for the Defeat of the Dutch Fleet by Admiral Duncan. 1801 Prayer for the Recovery of the King. 1809 Prayer used on the 25th October for His Majesty’s Accession to the Throne and having Reigned near 50 years King of England. 1813 Prayer on the Marquis of Wellington beating the French at Vittoria in Spain. (The King mentioned is George 111 and England’s war with France was 1793 – 1815). The fifty kneelers, individually designed in the colours associated with the Blessed Virgin Mary, were made by the ladies of the parish in the early 1970’s. The Altar Frontal and Vestments were made in the 1980’s and assembled by the parishioners.